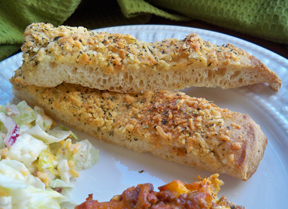 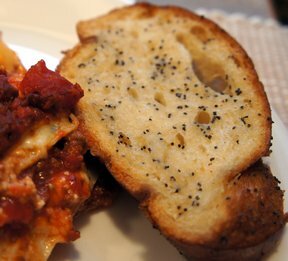 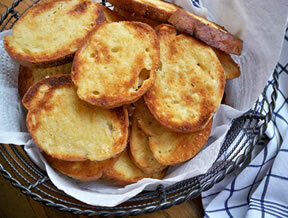 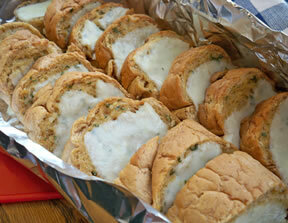 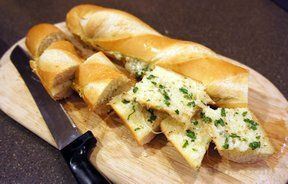 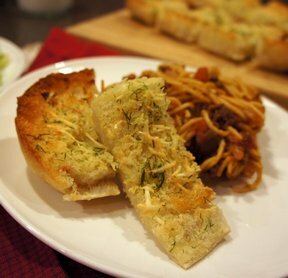 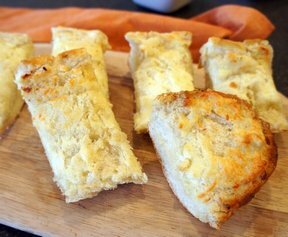 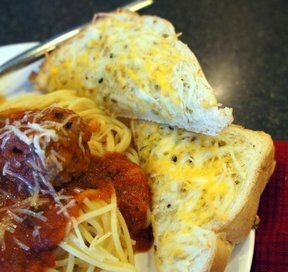 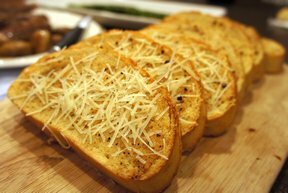 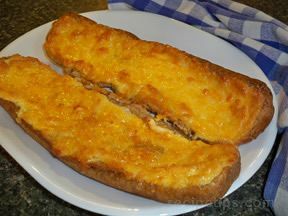 Simple and tasty garlic bread recipe. 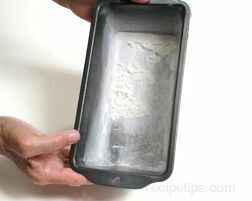 The seasoning packet has everything in it. 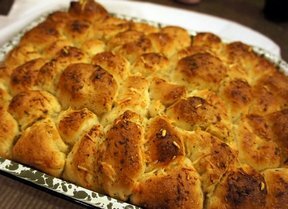 Slice bread and place on lined baking sheet. 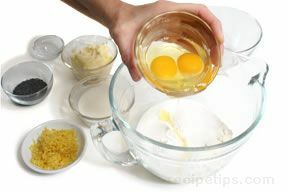 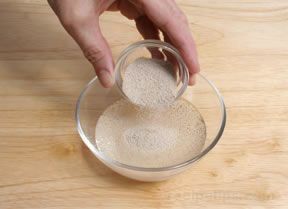 Melt butter and stir in dressing mix. 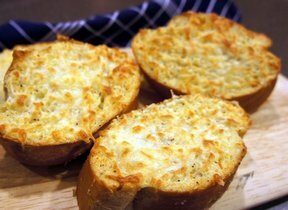 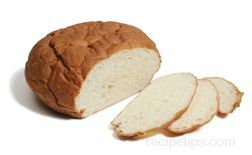 Spread onto bread slices. 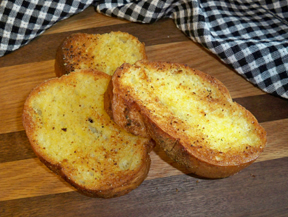 Broil until golden or heat in oven at 350Â° for 15-20 minutes. 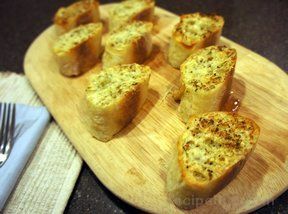 While still warm, sprinkle with parmesan cheese and paprika, if desired. 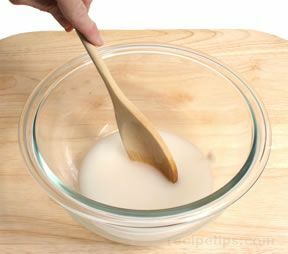 "So simple! 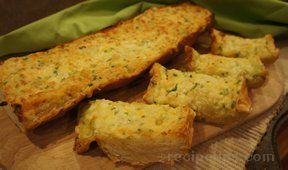 One of my favorite garlic breads so far. 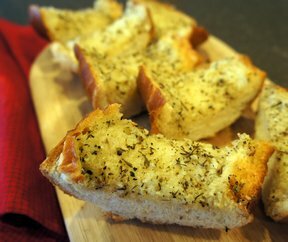 It goes great next to pasta. 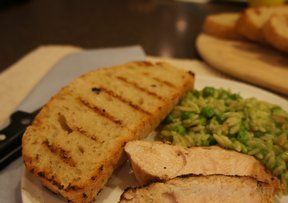 I bet it will be even better on the grill, too!"